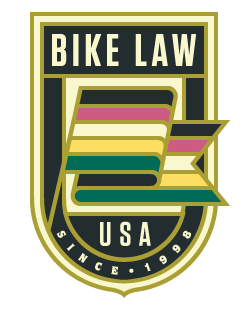 Georgia Bike Law attorneys Ken Rosskopf and Bruce Hagen are active in the Georgia biking community and passionate legal advocates for cyclists in Athens, Athens-Clarke County, and across the state. Ken and Bruce have represented racers, commuters, weekend riders, and others who have been injured or lost their lives because of careless drivers or unsafe road conditions. If you need help after an Athens bike accident, or simply have questions about Georgia laws and your rights as a bicyclist, contact Bruce and Ken through the Bicycle Crash Report Form. It only takes a minute to complete. Athens, located in Athens-Clarke County, is a Bicycle Friendly Community with about 115,000 residents. The city is home to the University of Georgia, and many of the university’s students use bikes to commute on and around campus. In fact, the university has an active cycling club. Athens is known for a thriving music scene that has produced bands such as R.E.M, the B-52s, Widespread Panic and the Drive By Truckers. Bike facilities: Bicycle transportation improvements projects approved under the 2011 budget were to provide $4.5 million for capital improvements to expand the bicycle route system through additional roadway bicycle lanes, roadway pavement markings, off-road bicycle paths, and related signage. Bragging rights: The Athens GA Bicycling Club compared group riding in Athens with rides in other U.S. cycling meccas, including Boulder, Colorado and Davis, California. In three research projects that looked at the number of free, open group rides, Athens scored first in the nation. Bike Advocacy: BikeAthens, a local advocacy organization, is a silver-level bike friendly business whose mission is “to promote walking, cycling, and public transit as solutions to transportation needs in Athens through education, advocacy, and community service.” The group has an ambitious slate of programs, including a bike recycling program, the BikeAthens Group Ride, a city Bike Map and commuter assistance. BikeAthens has also developed the Athens-Clarke County Municipal Court Bicycle Safety Program, a training class to help riders learn how to safely ride on local streets. Bike Recycling: BikeAthens has a Bike Recyling Program, which distributes reconditioned bikes to individuals in the Athens community who are underserved by private and public transportation. Bike Clubs: The Athens GA Bicycling Club posts a comprehensive cycling calendar for group bike rides in the Athens area. The club’s philosophy: “AthensGaBicycling is a strong proponent of cyclists riding in groups. All group rides in Athens are structured to allow cyclists with similar skills to ride within a group setting.” There is also the Nitty-Gritty Bike Band and a newer group—the Cantilopes Beginner Bike Ride. New groups and clubs are popping up all the time—B.A.R.F (Bikes are Really Fun) being one of the local favorites. Greenway Routes: Riders should check out the North Oconee River Greenway, a 3.75 mile paved trail. Points of interest include the Charles Aguar Memorial Plaza (Mr. Aguar is considered the father of the local greenway system) and the Heritage Trail, Cook and Brother Plaza, with its 50 interpretive panels related to the former Cook and Brother Armory and Chicopee Mill, as well as other local historic attractions. This first mile of the Greenway /Firefly Trail is currently under construction. It will extend from Dudley Park to the Loop. Ultimately, the aim is build the trail all the way to Union Point. Good Place For A Cold One: Creature Comforts Brewery. Bed, Bike & Breakfast? : Two local hotels, Hotel Indigo and The Graduate, offer rental bikes to guests. “One interesting thing about the local club is the way speed is categorized: Cheetah=20+ mph; Antelope=17 to 20 mph; Gazelle=15 to 17 mph; Elk=13 to 15 mph; Coyote=11 to 13 mph and Beginner=below 11mph. So it makes it easy to find a ride with the right speed." "Also, BikeAthens has “The Ride That Owns Itself.” I like it for the name as much as anything. But it’s for a good cause – a bike recycling program that benefits kids. Unfortunately, that ride may not be hosted in 2016." "The city has a famous race – the Athens Twilight Criterium in May – which attracts one of the largest crowds in the U.S. for a criterium." "The local Winter Bike League offers rides from December through March. I’m a sponsor of that group." "Be sure to check out BikeAthens on Facebook – they have a huge presence and good information."